Only 5 x 5 x 5.3"
The Braq Cube 4C from Rosco packs 100W of color-mixing output into a black-finished 5" cube. 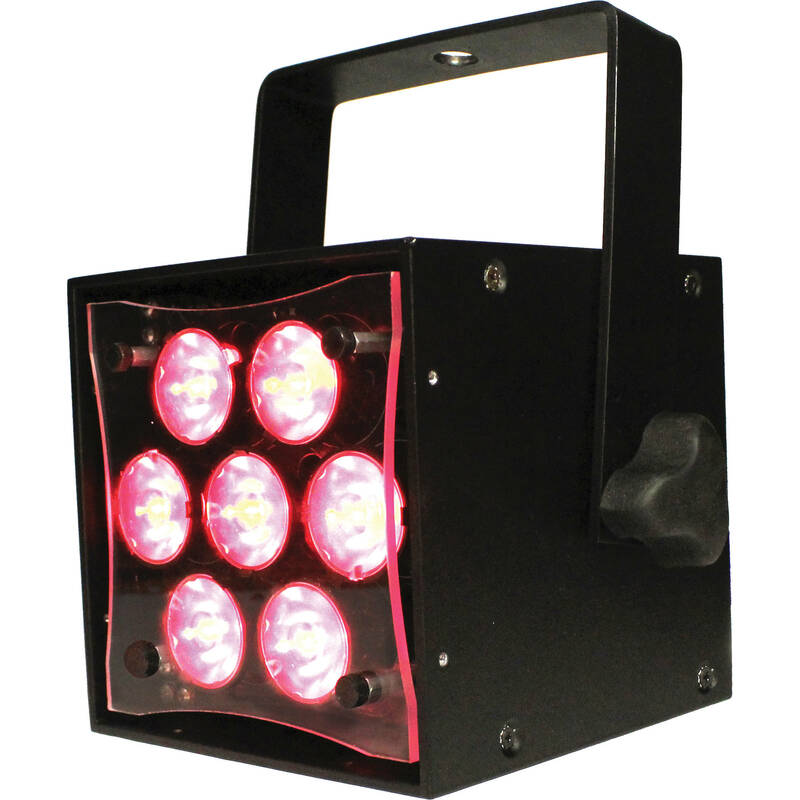 Despite its surprisingly small size, the 4C pumps out more than enough light to replace conventional wash lights in broadcast studios, on stage, in film sets, or in commercial architectural installations. Using the RGBW quad-chip emitters, the Braq Cube 4C produces a rich palette of saturated, mid-tone, and pale tint colors that can be dialed in at the touch of a button. Thanks to the high quality of its emitters, the 4C is also capable of mixing a true white. The single chip optic eliminates multi-colored shadows and creates a powerful, fully blended color wash.
Power Consumption 100 W max.